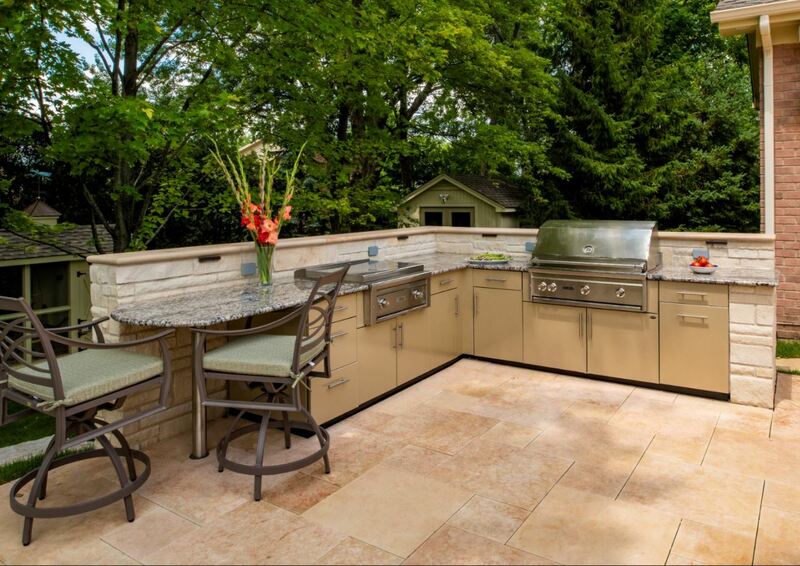 Twice is nice with this duo: the L-shaped outdoor kitchen is complement by a single run of cabinetry in the homeowner’s outdoor pavilion. 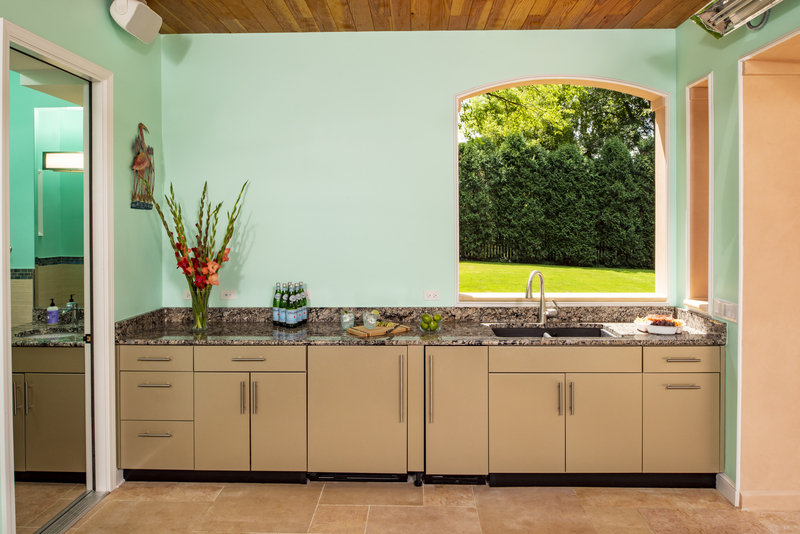 The stainless steel cabinetry is powder coated in Denver’s Champagne 302 Metallic finish and features the Hampton door style. 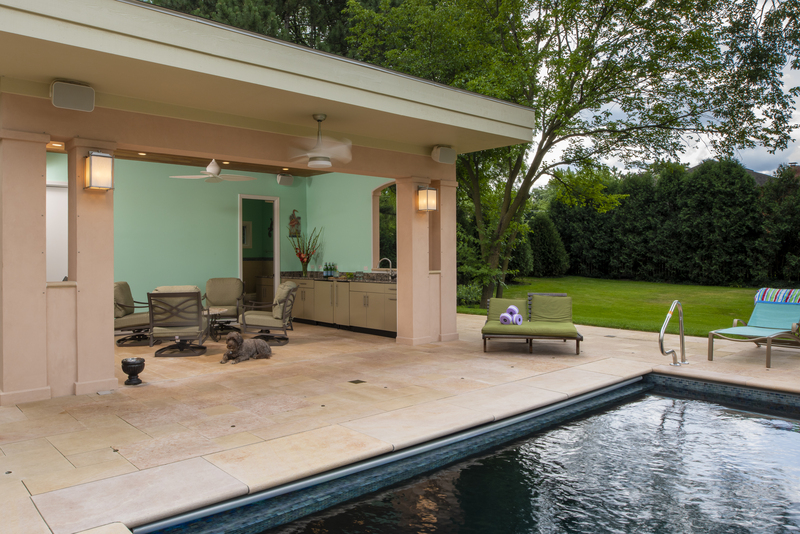 The L-shaped kitchen provides storage, hides a trash pull-out and is home to a flat top grill and a traditional grill.The pavilion includes an outdoor beverage refrigerator and ice maker, both hidden by door panels matching the cabinetry.